The main two links for our radio program podcasts are below. Please copy and paste the entire link into your podcasting program of choice. There are several programs which can play and download podcasts. One of the most popular programs for Mac and PC users is Apple's iTunes. Please note: you will need an internet connection to perform all of the steps below. 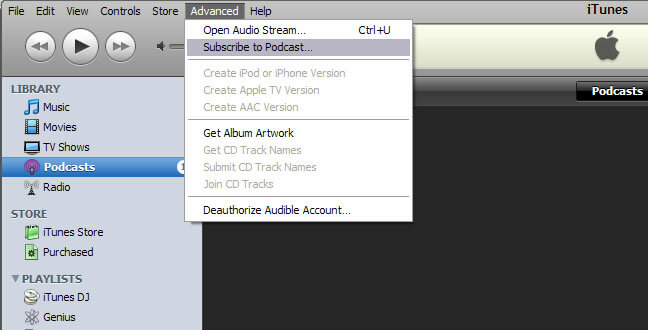 To set up iTunes to receive podcasts, you will need iTunes version 4.9 or above. Older versions do not support podcasting. After you have selected the "Advanced" menu option, click on " Subscribe to Podcasts" sub menu option. 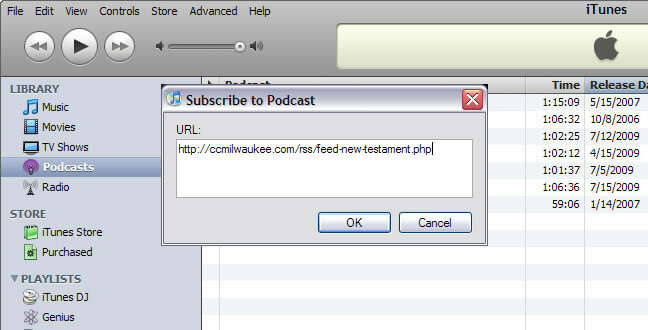 Paste the copied link into the text box and click "OK"
Repeat this process for each of the podcast you want to subscribe to. A second option is to drag and drop the Feed into iTunes. On the left hand panel, you will see the source folders. Select the one called 'Podcasts'. 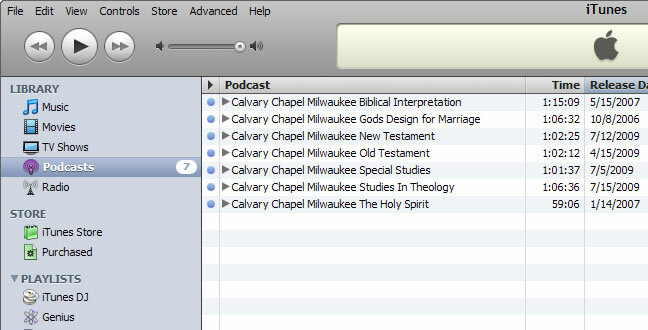 Now simply 'drag and drop' the link from the webpage in to your iTunes Podcasts folder.